A group of exquisitely-designed Christmas card templates are offered freely here, which are customizable, printable, and sharable. Can be printed out or sent as e-cards. Sending Christmas cards is one of the oldest holiday traditions. However nowadays due to the rocketing development of internet, more and more people choose to leave messages on Twitter or FaceBook for holiday greetings instead. Is it still necessary to send out Christmas cards? Well, think about how you expect one from others. A Christmas card shows you are thinking and caring about others. It means much more than a few words on the networking sites. When you think of December, some of the fondest memories are of writing personalized notes to each recipient of your meticulously designed Christmas cards. If you mind the high postage, sending a custom e-card can be an alternative. This winter, start to send out your best wishes and let your friends and family members know you love and care them. 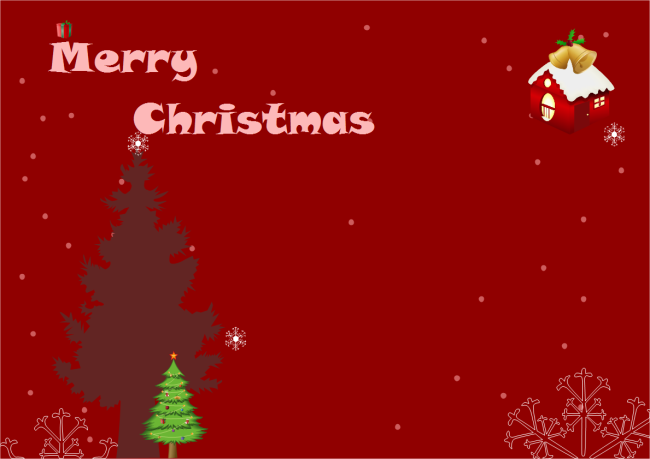 Below is a customizable Christmas card template available in use. Click the picture to download. Add your own greetings and edit the style if you want. You can either print it out or save it as an e-card to send to others through the net. 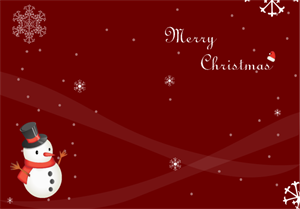 Why Need Customizable Christmas Cards? Edraw Christmas card maker is elaborately designed to produce creative, beautiful and unique Christmas card from templates. 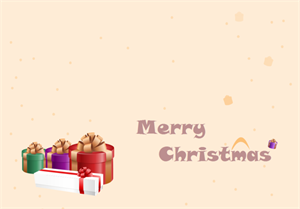 It has built in a great number of nice-created Christmas illustrations, such as Christmas tree, Santa, Balloon, Christmas Wreath, Candle, Elk, Snowflake, and so on. Easy to drag and drop, resize and recolor the shapes. For people already accustomed with other Microsoft apps, the interface will be quite familiar. It's easy to add text fields anywhere you want, and numerous nice fonts are available to apply. Besides, you can insert a photo and resize, rotate the photo for the best visual result. This photo Christmas card type has gained a great popularity on the internet. Once complete, your Christmas card can be printed or exported to pdf, ppt, png and many other formats with only one click. Edraw recently launches a series of stylish Christmas templates for the upcoming Christmas, including some photo Christmas card templates. 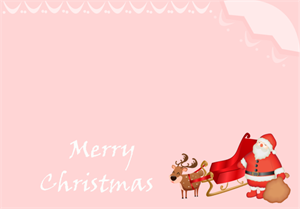 Exquisitely-designed, delicate and free, these templates will do you a great favor in making Christmas cards. Anyone is available to download and use these templates. All templates are in vector format, allowing users to customize and redesign. 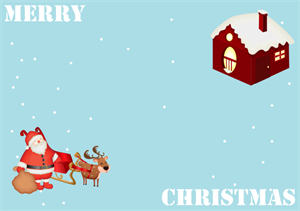 This blue Christmas card template with Santa and reindeer is created exclusively for you to use when sending Christmas greetings to your business associates and friends. If you would like to send a card saying Merry Christmas to your customers or friends, here is a good choice. For this coming Christmas, prepared a Christmas card and send all your greetings for your beloved ones. Christmas is coming, send a Christmas card to your friends and family members to show your best regards and deepest gratitude. Download a free trial and see first-hand how quickly and easily you can create great-looking Christmas card. 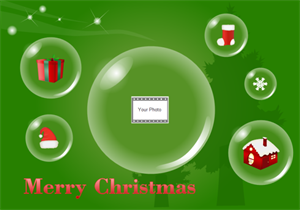 Create an impressive Christmas card by adding your own picture in the middle bubble. 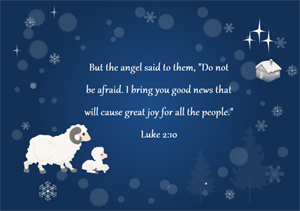 Add your favorite bible quote on this Christmas card template.